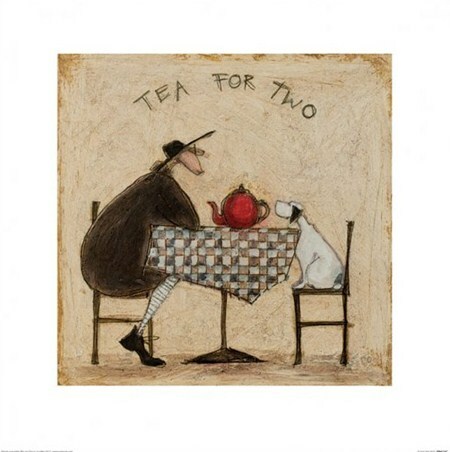 Working as an artist for over a decade, Sam Toft has been developing her own unique style and as a result, has produced a number of beautiful prints over the years. 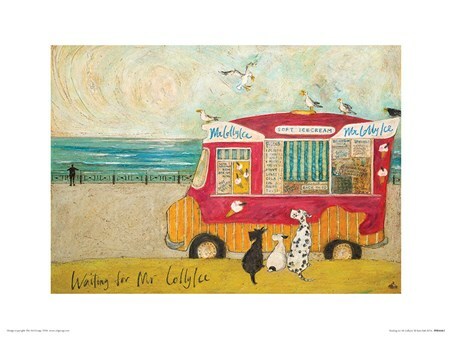 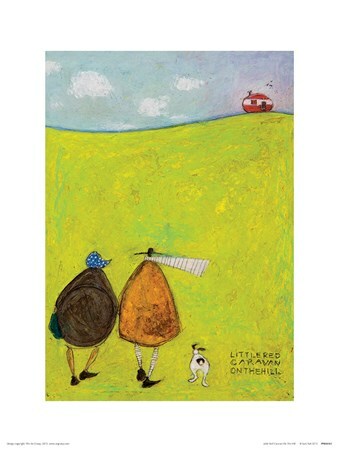 Detailing the exploits of Mr Mustard, his wife Violet, and their pet pooch Doris, this artist primarily focuses on these loveable characters, and continues to entertain us with piece after piece! 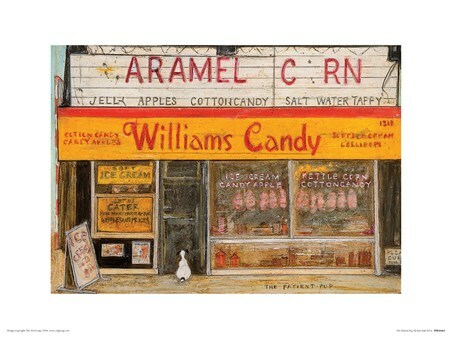 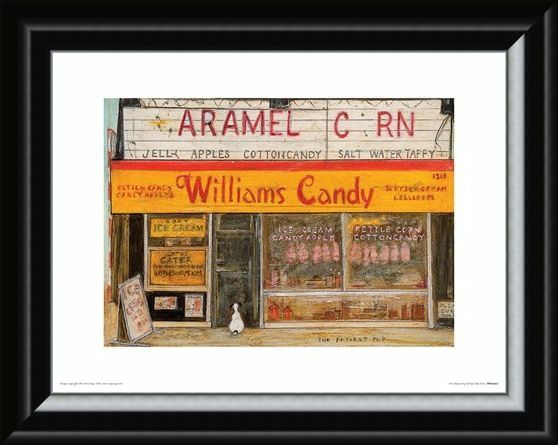 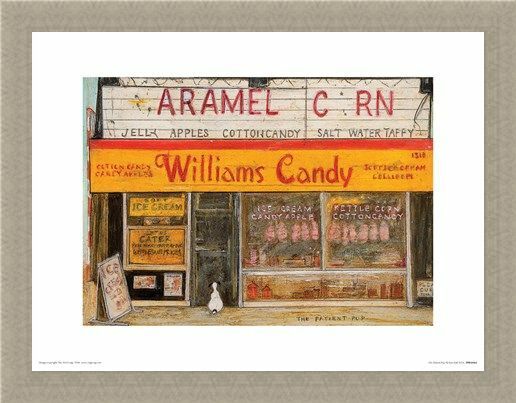 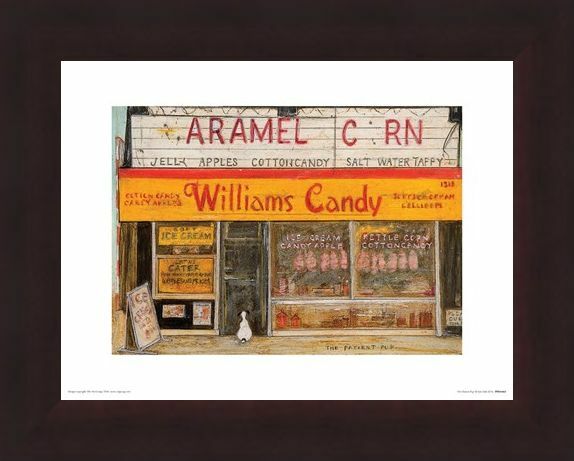 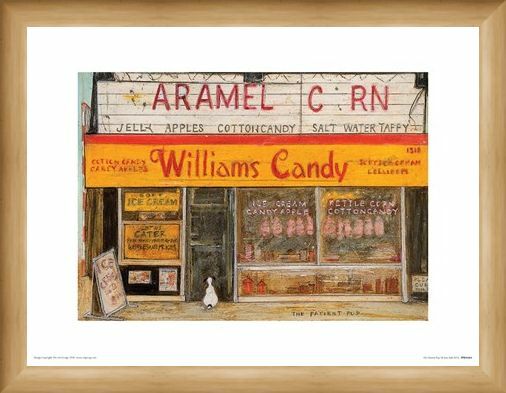 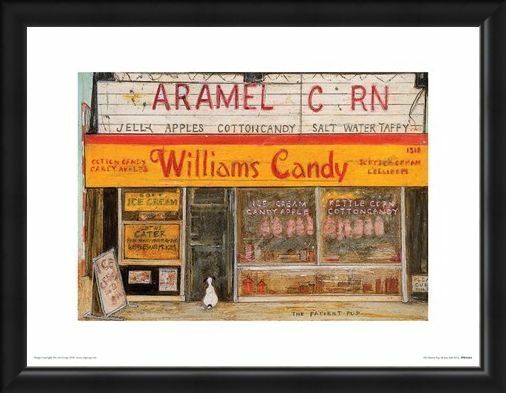 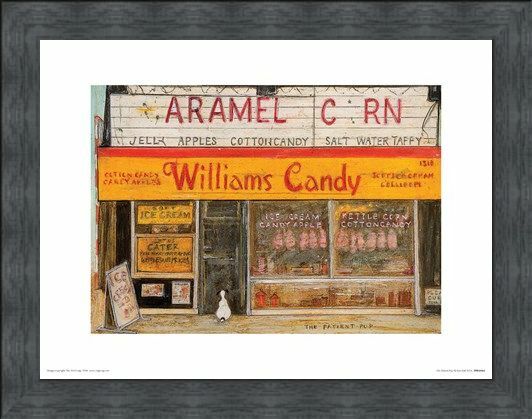 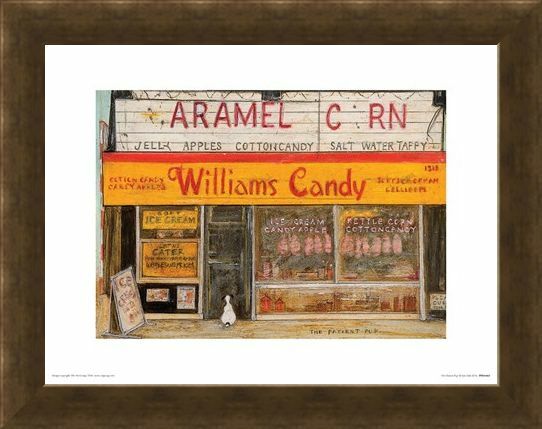 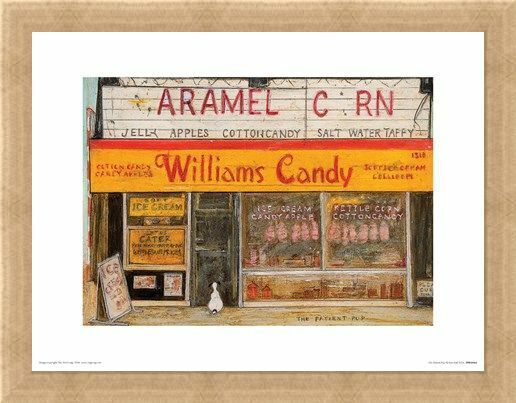 In this print, Doris is pictured eagerly awaiting the shop to open, sitting patiently outside the front door, in the hopes of snagging a sweet treat or two! 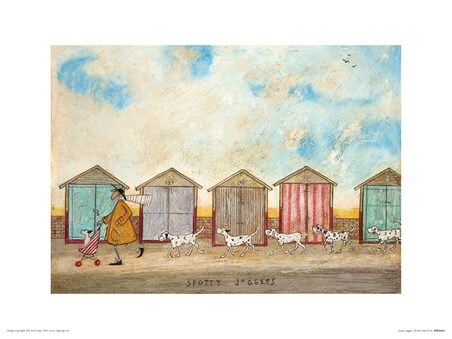 High quality, framed The Patient Pup, Sam Toft print with a bespoke frame by our custom framing service.